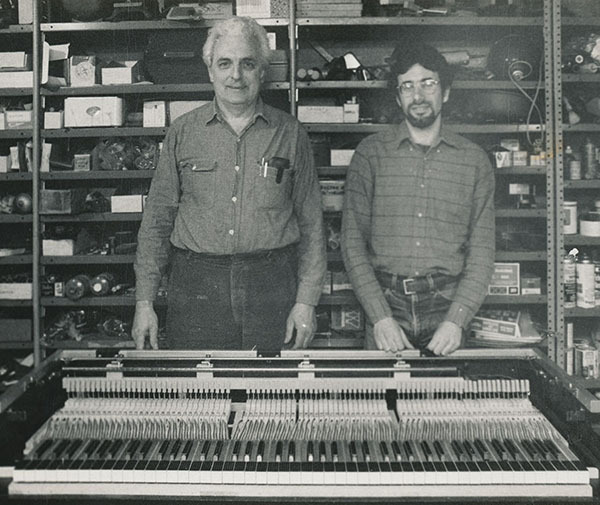 From 1986 to 1988, I worked with electronic-music pioneer Robert Moog (rhymes with vogue), custom-building experimental keyboard instruments. In 1993, I wrote this account of our work together, and an abbreviated version was published around that time in Piano & Keyboard magazine, no longer in business. This is the first publication of the unabridged version. A Postscript with updated information about Moog and his family follows the article.—L.F.